Today I have a review for you guys with one of my latest new nail polish. 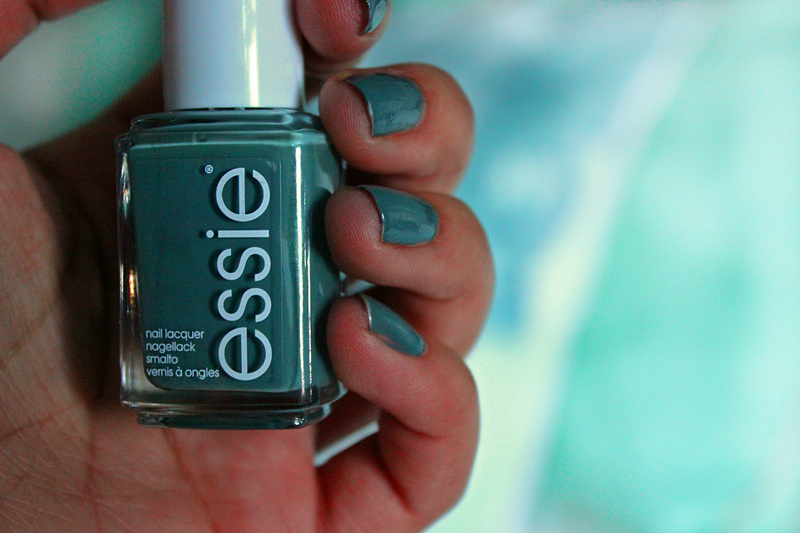 It is from the Essie’s 2014 Fall collection which is called ‘dress to kilt’. At first I couldn’t decide between the Fall and the Winter collection but still went for the Autumn colour as the Winter one is still somehow more for the Summer. While the fall has the turquoise and the dark greens in them .The colours that I prefer more to tell you the truth. Straightaway without doubt I could notice the difference between this nail polish and any other. 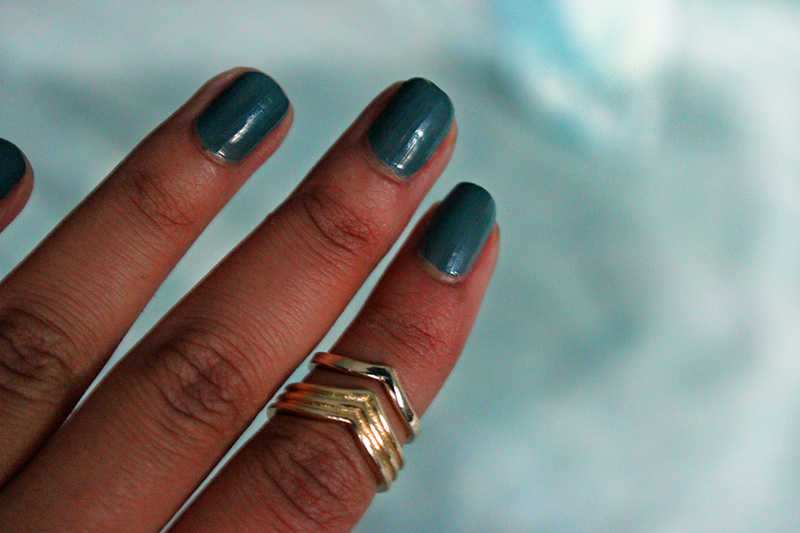 I have never had an Essie nail polish before so I was really excited to see how it was going to turn out. When I applied the first coat I thought I would have to add two layers as the nail polish was quite thin. However once I applied it to my nails the nail polish slided over my nails covering up any bits that I still needed to apply on. So actually I only had to apply one coat which is quite unbelievable as I literally always have two coats on. Although the nail polish is maybe a bit to watery as after I had applied the nail polish to my nails I had to clean it with a cotton ear buds but this was the only downside of it . The nail polish stayed on my nails for at least 5 full days and then it started to chip off from the top. Even then it chipped off very slowly so you could hardly notice it. On top of it this was without the top coats well. The picture above was taken on the fourth day which is normally when the nail polish starts to chip off by me. The quality of the nail polish is something that I have never quite seen before. No wonder It was £8 for one nail polish but it was most defiantly worth it. I recommend this nailpolish a lot if you are into nail polishes or if you don’t have any time like me to keep removing and putting nail polish on your nails . I have the ‘fall in line’ which is the perfect Autumn colour. 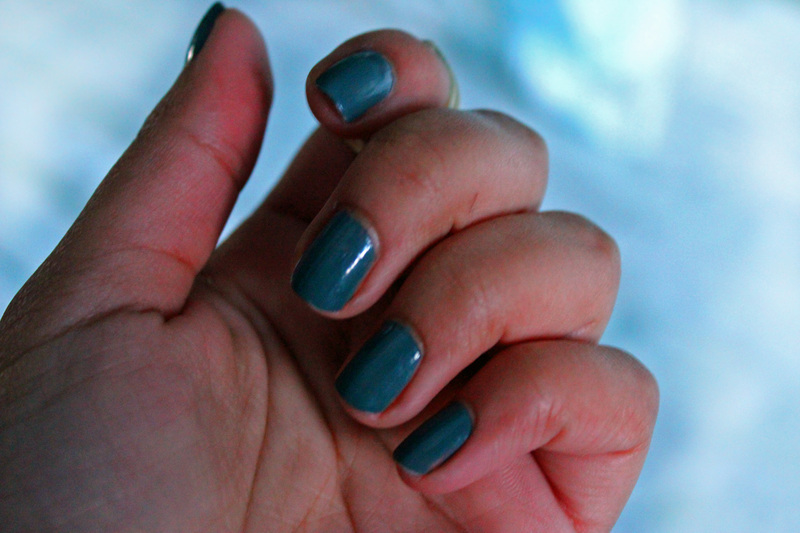 It is a silky jade colour with a lot to it. I did notice that the colour started to look much richer and darker at night which is something that I like about it. It is such a lovely colour. I already mentioned that I didn’t apply a top coat and still my nails are shiny. Almost like I have done it. Essie’s quality is something worth trying yourself. I can’t wait till their Spring collection and look forward to buying it.